In addition to the vast array of books for sale to read on your Kindle, there are free books as well, you just have to know how to find them. This is a guide about finding free books for your Kindle. My husband bought me a Kindle for my birthday and I love it. There are many free books available on Amazon.com. You will get all kinds of information about paying for the list, but you can easily find them for yourself at no cost. Source: I found this on a Kindle Forum, but am not sure which one. The best place to find free Kindle electronic books if you use kindle.co.uk is on the amazon.co.uk website in the Kindle shop. This is because of the fantastic way the way bestsellers are listed on the site. There are various different ways to identify free Kindle books, everyone knows for instance that most of the classics are available free to readers with one of the Kindle family of ereaders or the Kindle app, there are also thousands of fantastic new titles available absolutely free, if you know how to find them. Because, at the moment, I do not live in an English speaking country, and also because I consume books at such an alarming rate, out of necessity it has become part of my daily routine to go to these lists. Over the past eighteen months I have downloaded and enjoyed hundreds of free titles. To my delight and quiet satisfaction many of these have ended up on the paid bestsellers list. Although if I am totally honest I may not have bought all of the titles I have downloaded if they had not been free, doing so has represented some incredible savings and broadened my reading horizons too. To enjoy the benefits of all this free entertainment and information all you need to do is follow these simple instructions. 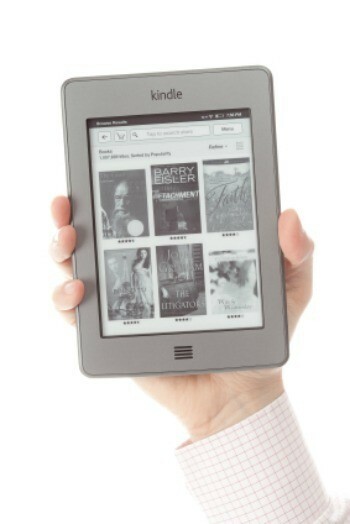 On the Kindle eBooks main page use the browse Kindle eBooks feature which is on the extreme left hand side of the page. Next click the blue link Kindle Bestsellers which is underneath the orange popular features heading. On the bestsellers page there is in a double column. On the left hand side of the page are the top 100 titles in paid, on the right, the top 100 free titles. The first side by side list you see contains the overall bestsellers in all Amazon Kindle categories. You can now refine your search for free kindle books by using the category listings that will have appeared on the left hand side of the page. These are divided into fiction and non-fiction, which are the first two links in blue at the top of the long list of categories below the orange kindle books heading. You may find it is easier to select the categories that are of interest to you if you use the fiction/non-fiction categories first. Then your Kindle is your oyster! Don't forget even if you don't have a Kindle, if you have an Amazon account you can download the Kindle app and still enjoy the benefits of all those lovely free books.